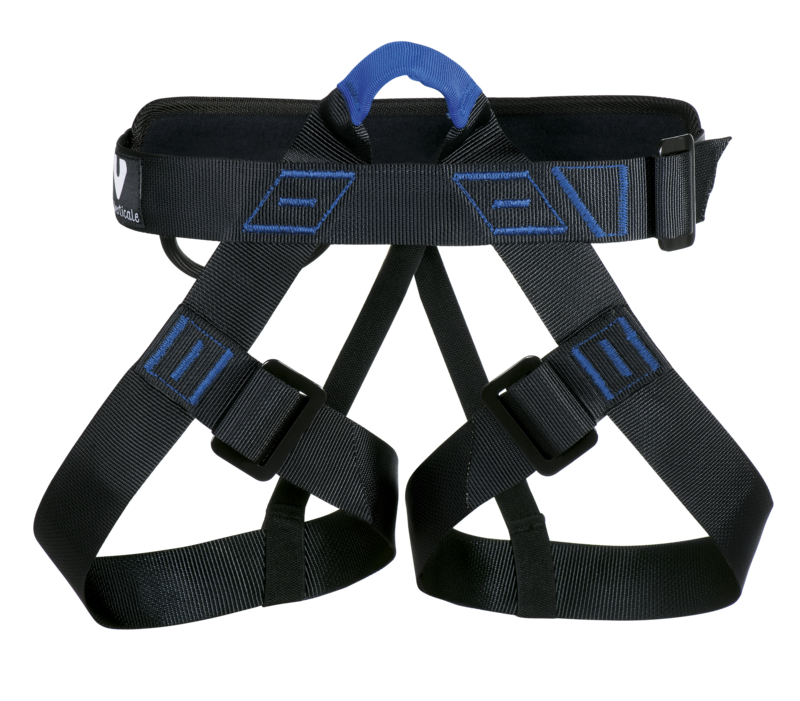 Sit-harness for climbing or mountain tie-in, totally adjustable. Waist band and thigh loop closure by steel ladder lock buckles. Upper sheathed tie-in point. Waist band and thigh loop in 44 mm webbing for a better distribution of the user's weight. A sheathed gear loop. The minimum adjustment for thigh loops and waist band is the same for all sizes. The different sizes allow an adjustment of the harness to the size of the user (for surplus webbing avoidance). Ideal for use in groups (size colour code). Addition of a padded belt for comfort optimisation(reference AVES51 Annexbelt). Traditional magnesium bag for climbing, cylindrical in shape. 20 mm wide stitched elastic webbing. 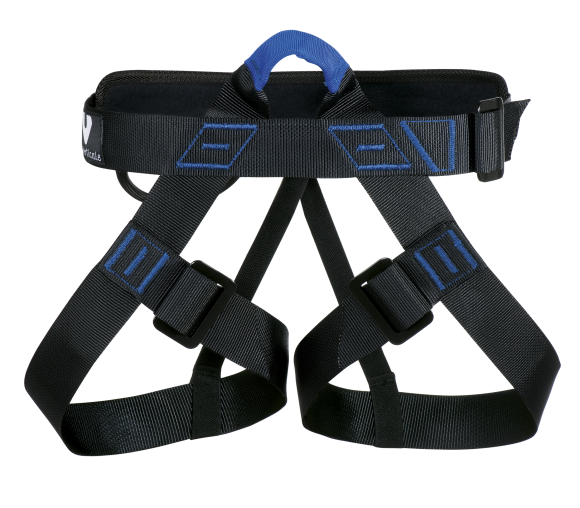 Can be used as a spare part for climbing sit-harness.